If people aren’t excited and energized about going to work, things must change. After all, you spend one-third of your time at work. Fun must be part of an organization’s strategy. Look at the list of companies that make fun part of their strategy and culture: Southwest Airlines, Starbucks, Disney, Nordstrom, Walmart, Trader Joe’s, and Land’s End. What else do these organizations have in common? They are all very profitable! Fun is a healer. When people are having fun, the brain releases chemicals called endorphins, which help heal the body. It reduces absenteeism and helps keep people healthy and happy each day. Fun breeds creativity and new ideas. As people enjoy their jobs and have fun, they become more creative and imaginative. They begin to think outside the box and don’t fear failure. Fun helps maintain workplace relations. America has the most diverse workforce in its history. People come to work every day with different cultural backgrounds. We also have a multigenerational workforce: people in their 20s to those in their 60s. And when they’re having fun at work, it breaks down barriers. They enjoy being with each other, can discuss their differences openly, and share new ideas. When you have fun at work, it makes training and teaching easier. In fact, fun is an excellent teaching tool. Whenever our company holds workshops or conducts training, we make sure to include strategically placed activities that focus on fun. The feedback we always receive is positive. Participants say they learned a lot and had fun doing it! Having fun at work also impacts the bottom-line: Fun prompts energy levels to rise. Energy is contagious, and productivity soars. As the company enjoys increased productivity, there’s greater innovation. New ideas and concepts take flight, and the bottom line improves considerably. The first time I flew Southwest Airlines I was amazed by every employees’ high energy and enthusiasm, without exception. All of them were having fun and enjoying their work, from the baggage handlers, reservations agents, and gate attendants, all the way up to and including the pilot. As I waited for my flight, I observed how the employees’ positive attitudes and infectious enthusiasm spread to the passengers. Everyone was smiling, upbeat and having a good time. No wonder Southwest is so profitable. 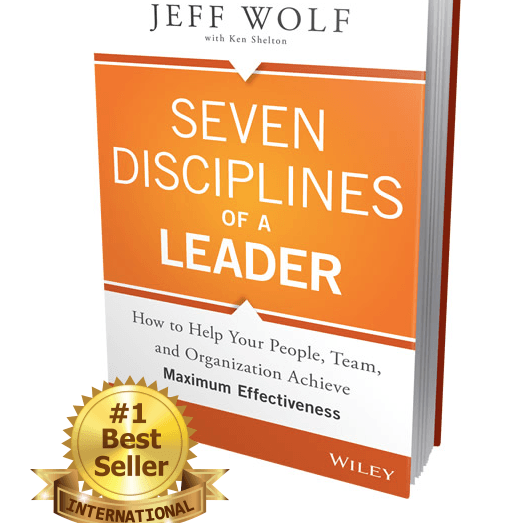 Jeff Wolf is the author of the international best-seller Seven Disciplines of a Leader. A dynamic speaker and highly requested executive coach he was named one of the country’s top 100 thought leaders for his accomplishments in leadership development and managerial effectiveness. He may be reached at 858-638-8260 or jeff@wolfmotivation.com. An organization’s fate is determined by the quality of its leadership. Good leaders can take a faltering business and turn it into an innovative powerhouse. By the same token, mediocre leaders can run even world-class brands into the ground. We’ve seen enough examples of both scenarios to know they really happen yet many leaders don’t understand how to emulate the success stories and avoid the cautionary tales. How do workplaces create an engaged workforce of employees who do excellent work because they want to? Leaders need to motivate their people and teams to achieve peak performances, teamwork and personal satisfaction. 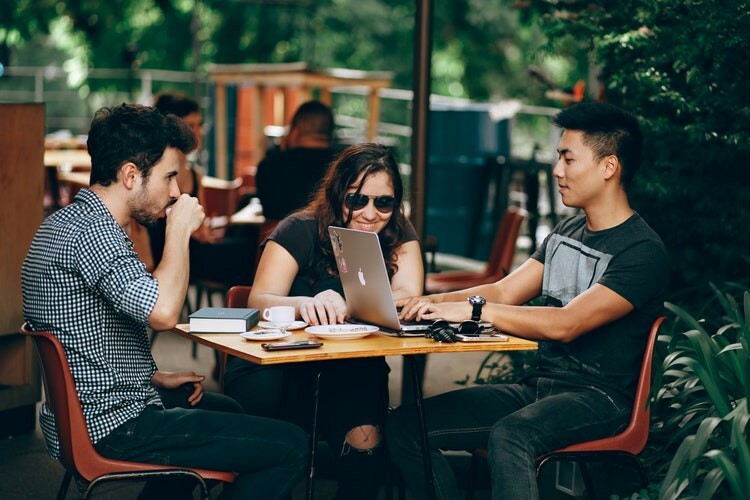 Strong teams drive organizational success, and the most productive organizations are those that have strong, high performing teams of people working together to produce extraordinary results. When you combine ideas, talents, personalities and abilities together to complement one another, the outcome is an unbelievable success story. We are living in a VUCA world…volatile, uncertain, complex and ambiguous. In order for organizations to remain competitive, leaders have to be flexible, adaptable and agile. They have to be responsible for driving change and innovation throughout the organization for current and future success. When leaders master the art of coaching, their direct reports become highly engaged, loyal to the organization, enthusiastic for the work they do and stay with the company. Coaching is a skill to be embraced as a superior management tool. Effective coaching ultimately reduces turnover and improves productivity. A dynamic speaker and highly sought after executive coach, Jeff was named one of the country’s top 100 thought leaders for his accomplishments in leadership development and managerial effectiveness. 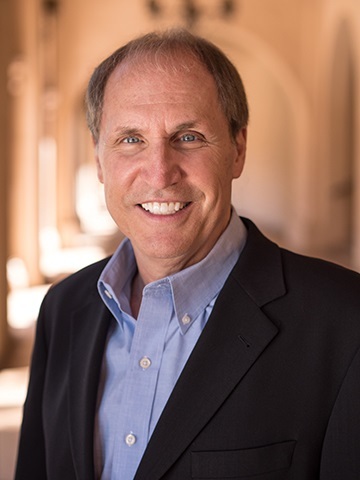 Jeff Wolf is founder and president of Wolf Management Consultants, LLC, a premier global consulting firm that specializes in helping people, teams and organizations achieve maximum effectiveness. He is the author of the international bestselling book, Seven Disciplines of a Leader, and coauthor with Ken Blanchard and Steven Covey of Roadmap to Success.